There was a time when Yahoo was something similar to the owner of the Internet... that was until Google arrived with its search engine and other services of the likes of Gmail to knock the Sunnyvale-based company of its thrown. However, it's still important and millions of Internet users still trust its services when it comes to browsing the web. 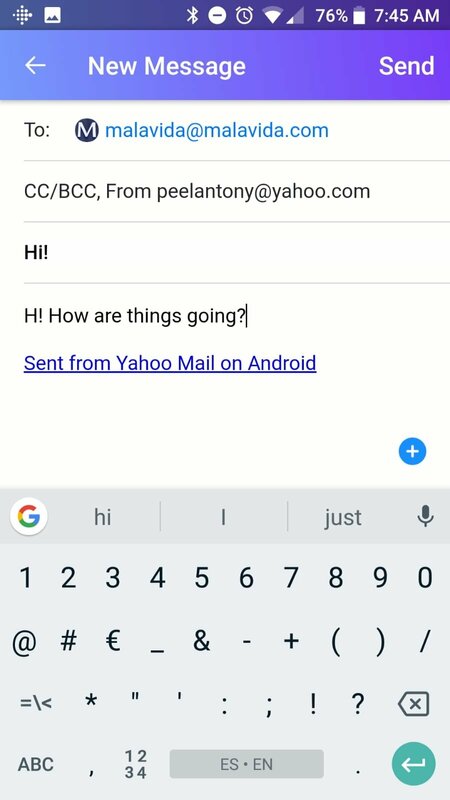 And amongst the latter, we have to mention its email service, Yahoo Mail, and its corresponding client for Android devices. 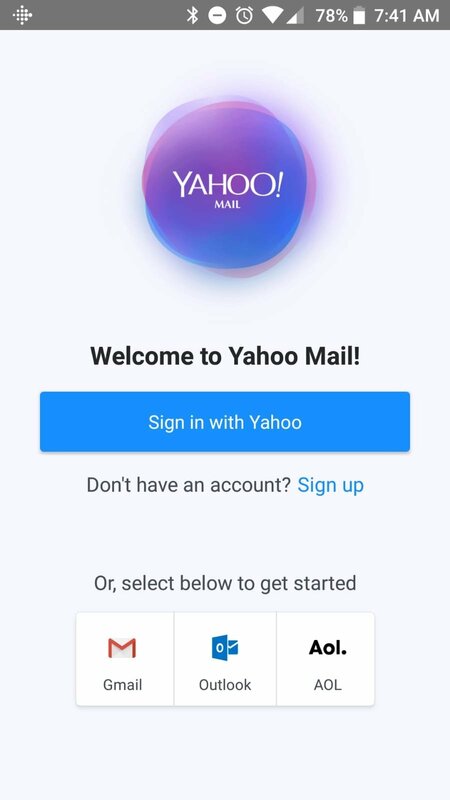 One of the most positive aspects about Yahoo Mail - Stay Organized, amongst many other functions, is that it's not only compatible with Yahoo accounts but also with Gmail, AOL, and Microsoft Outlook. 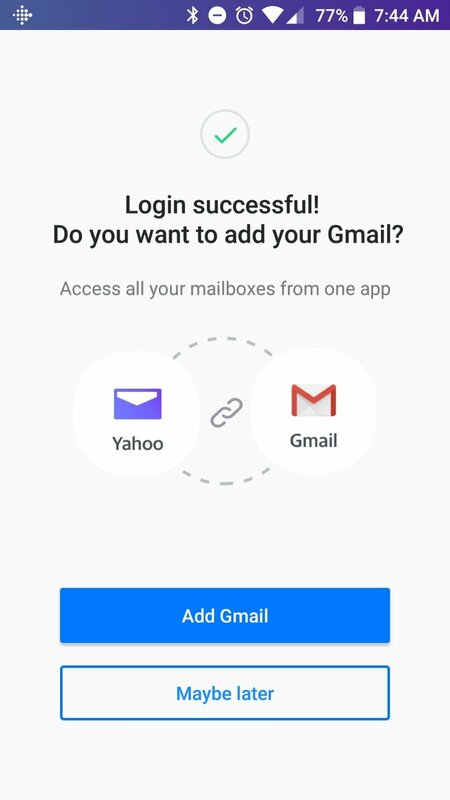 In other words, with this client, you're going to be able to manage all your the email accounts you use both in your personal and professional life. 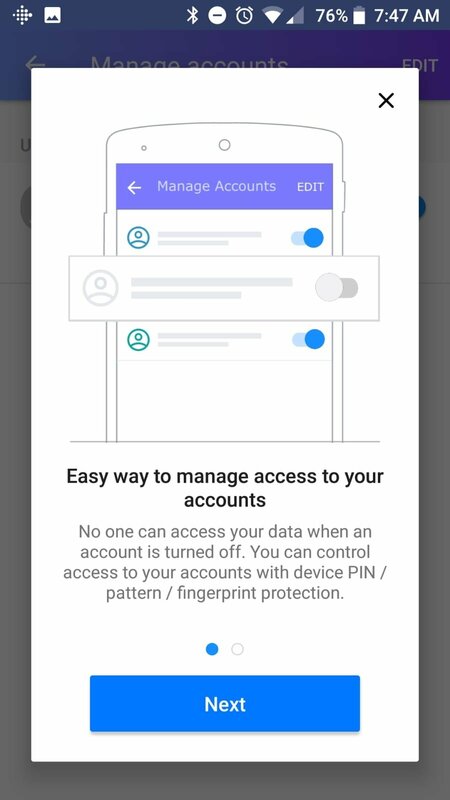 For such purpose, you'll only need to log in with a single password. 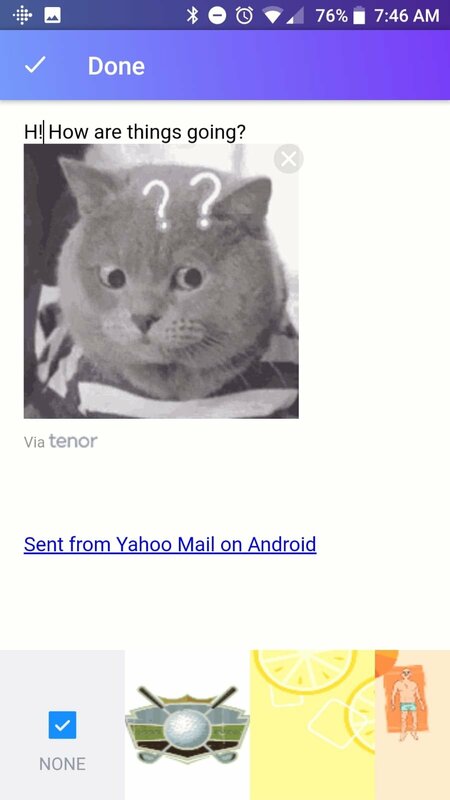 Yahoo's email app has an excellent design and offers a terabyte of online storage space. 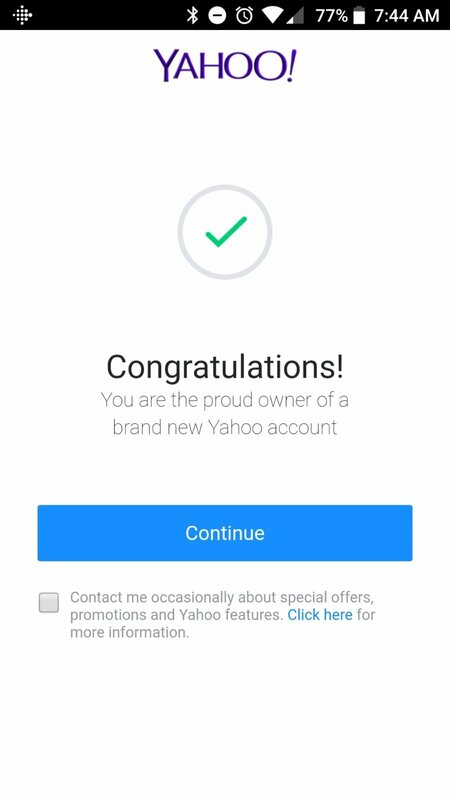 Log in to any of your accounts without requiring a Yahoo account. 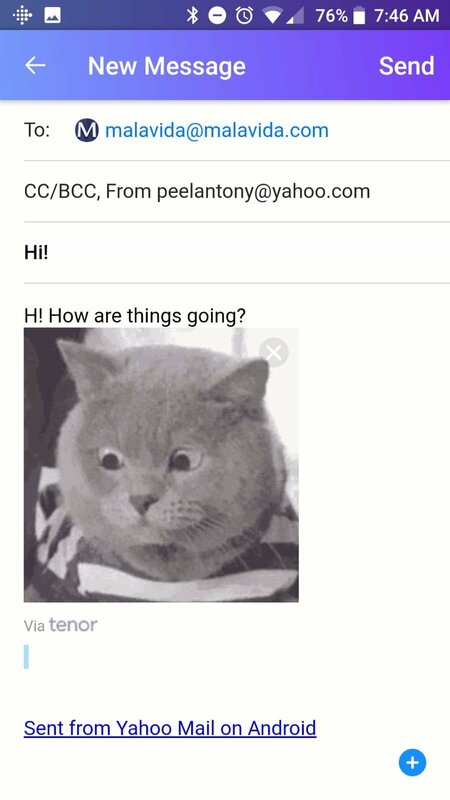 Fully configurable swipe functions to delete, file, and move emails. Configure notifications to receive them only when the emails are from contacts and not business or news communications. 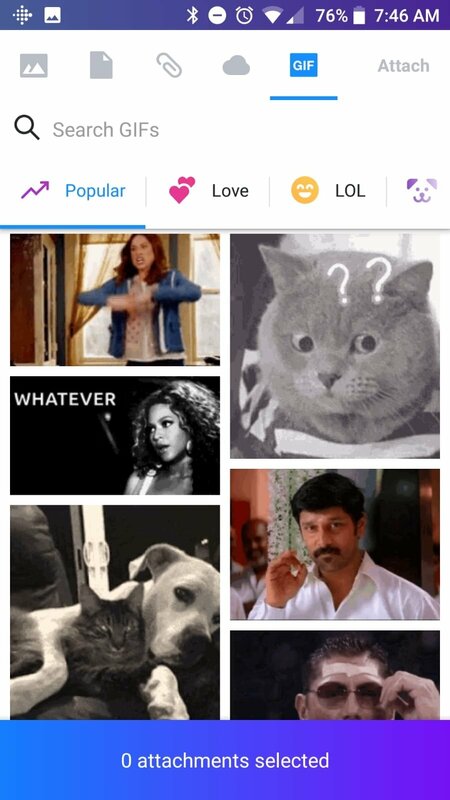 Search quickly amongst your messages, contacts, files, and pictures. Insert into your messages live photos and wallpapers designed by artists from Paperless Post. 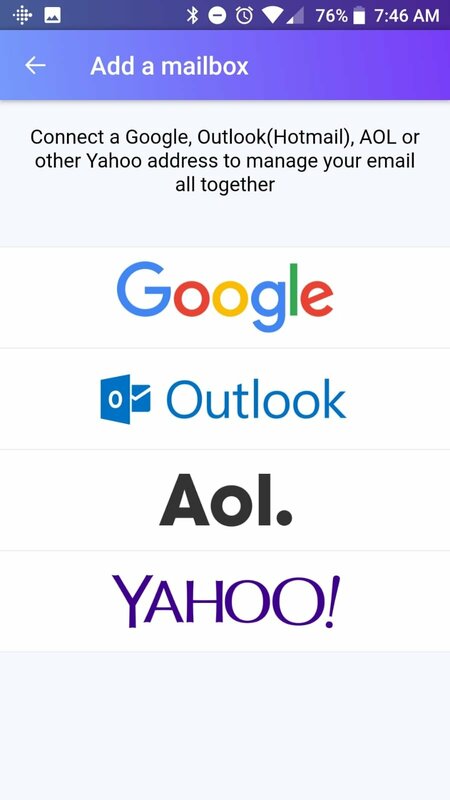 Add several attachments at the same time to your messages such as videos and documents. Over 1,000 GB of storage space. 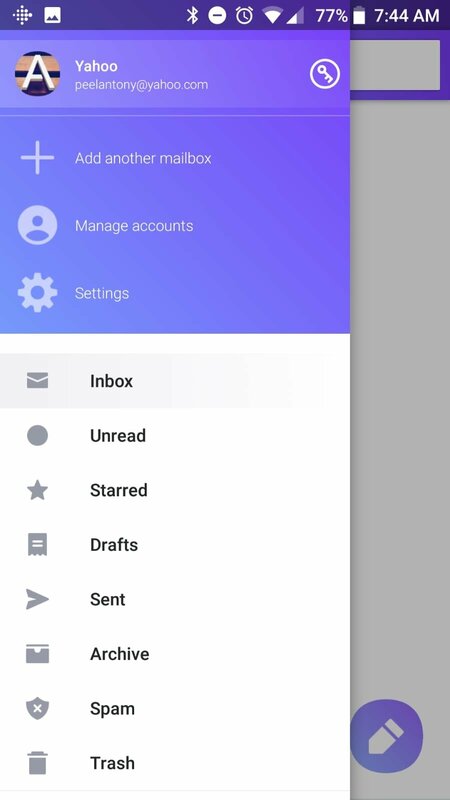 Configure your inbox with different themes, wallpapers, and text colors. Once you download its APK you'll also see that you'll be able to use it in different languages. There are also versions for iPhone and a desktop edition for Windows PC just in case you have to check your email from different devices.